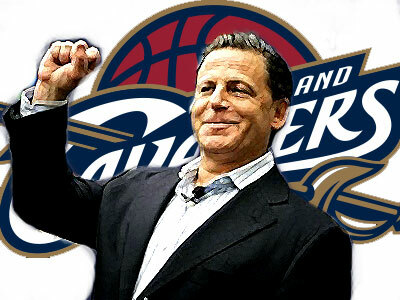 After a string of frustrations tracing back to last year’s off-season, the good news with Cavaliers owner Dan Gilbert is they’ve finally gotten a break from all of their basketball troubles. “It’s been a rough year. It’s been grueling and tiresome and painful,” says Gilbert. “But having this lottery come out the way it did. The Cleveland Cavaliers won big time in this year’s NBA draft lottery, taking the much-needed 1st overall pick while also landing the 4th pick, an unbelievable daily double of luck that rarely happens to any NBA team. The Minnesota Timberwolves, Utah Jazz, and the Toronto Raptors round out the top five. The NBA draft lottery determines the order of draft choices for each team during the 2011 NBA Draft. Cleveland last made use of their 1st overall pick in 2003 by selecting a then 18-year old LeBron James. It’s common knowledge that having first dibs on a top rookie prospect is a big deal. With this privilege, Cleveland now has the privilege of drafting Kyle Irving, Duke star point guard and is slated to be next season’s choice as the top overall pick. They are also eligible to draft other notable players such as Arizona’s Derrick Williams and Kentucky’s Brandon Knight. Such great news can help put an end to a season-long curse for Cavaliers owner Dan Gilbert and Cleveland fans, who themselves have had to endure a subpar performance from their hometown team. Having to lose LeBron in last year’s offseason was a league-defining blow, but finishing among the NBA’s worst with 63-losses this season is another. And then there’s the record-breaking 26-game losing streak, sinking the Cavs to an embarrassing stretch of losses in the latter part of 2010 all the way to this year, all while their former savior is enjoying a playoff-bound run in Miami. Finally, there’s the infamous breakdown of Gilbert himself, who drew criticism outside of Cleveland after condemning James in a rant-filled letter and pledging that the Cavaliers will win an NBA title before LeBron ever does. The Heat, as of this writing, is already playing for the Eastern Conference Crown. But all’s good in the end – something monumental came out of a losing season, and the Cavs just made a giant leap into rebuilding itself in the post-LeBron era. James is on a winning team, Gilbert is on his way to making a legitimate run once again, and whatever scraps of the mess made by the “The Decision” will now be eclipsed by the arrival of Kyle Irving. In a span of a year, hope springs for Cleveland once again.